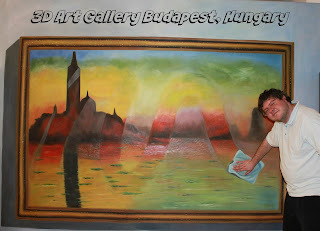 Last month, my husband and I returned from a trip to Budapest, Hungary. This is a first in a series of posts relating some of the things we did while we were there. I received no compensation for this post, it was a fun experience, and wanted to share this neat idea. Many places in Budapest close at 6 pm. Because of jet lag, we were still fully awake of an evening and not really into the nightclub scene so we look at the lobby cards to see if we could find anything open a little later. There was a 10% off coupon for the 3D Art Gallery. 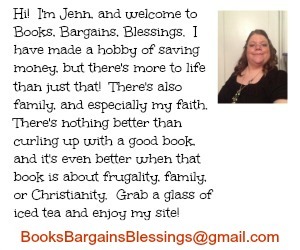 Those of you who are regulars to this blog know I'm a coupon fan, and to be using a coupon overseas just made me laugh. There was the opportunity to be a bit creative as well as taking photos the "normal" suggested way. Admission for two of us with two printed photos was under USD$20 using the coupon. The owner of the gallery was very friendly and even took photos for us (at no additional charge). This is very near St. Stephen's Basilica, so if you are in Budapest, it's worth a stop because of how much fun it is! This heart was provided as a prop! If you can't tell, this is to be my husband airbrushing Mona Lisa and I'm ready to unplug the airbrush. One of the "not recommended" ways we used a background. The owner of the gallery demonstrating how the art works! As we left, the owner brought out a scratch map and asked us to mark where we were from. We were the first visitors from the USA's east coast.